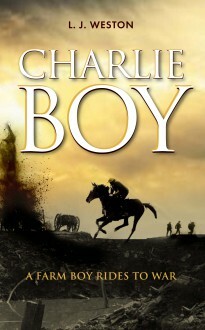 Charlie Boy is the story of Charlie Carson: when his childhood dream of becoming an Olympic runner bites the dust, he turns all his attention to his other great talent – riding. As a hardworking farm boy with a passion for horses he discovers that he has all the skills he needs to serve on the front line as a despatch rider, just in time for the outbreak of World War One. Having lied about his age to enlist, Charlie soon finds that in the desperate strife of the trenches of the Somme, he needs all his skill and bravery, not only to survive but to play a vital part in his country’s victory.